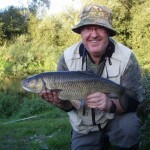 Had a great days guiding on the D.Stour. 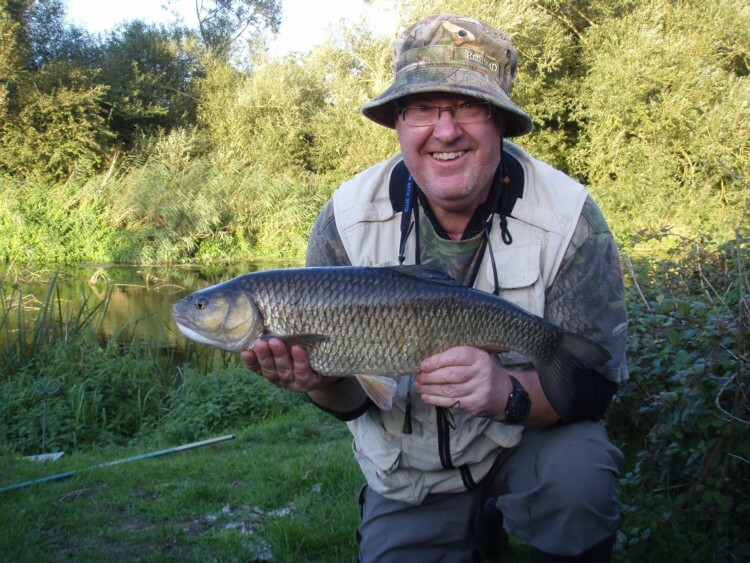 Steve wanted to better his pb chub with a 5lber which is realistic at this time of year. The river is still low and clear with some of the weed clearing away. 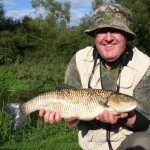 It tells me on EA river level sight that it was .36m which is at the low end of the range. 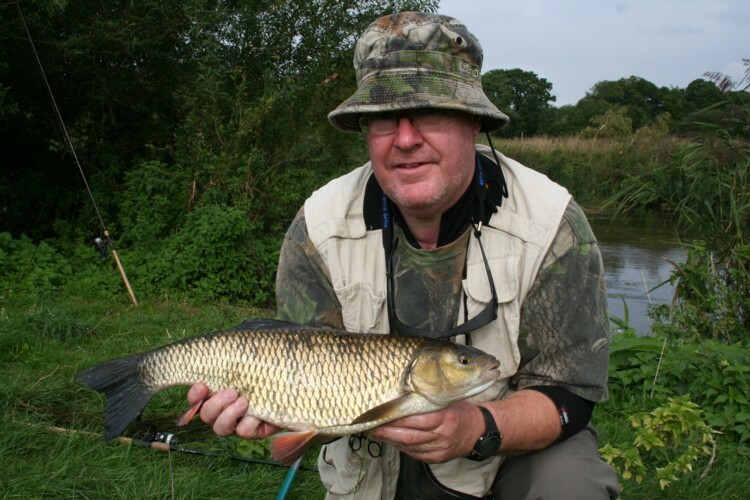 We baited a swim and soon had the chub feeding. He caught one chub 4lbs 12oz from here before they became a bit spooked. 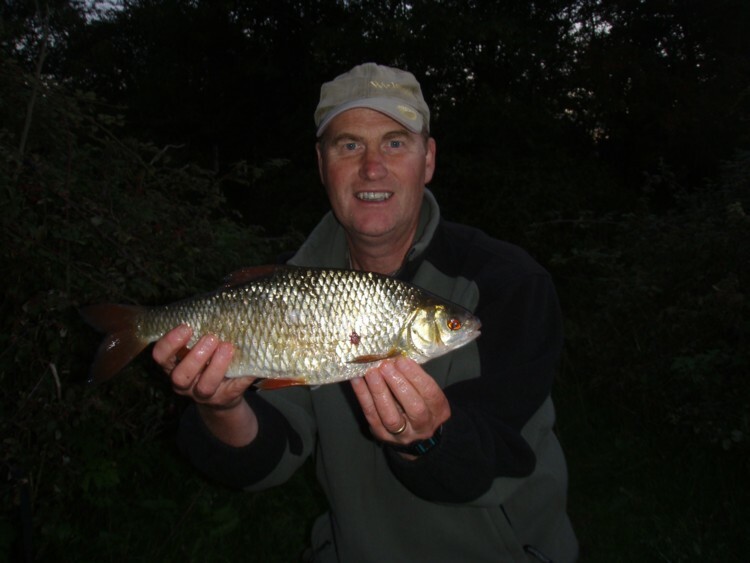 We walked the fishery and I pointed out the best swims and how to fish them and at which time of year.We then settled into a little fished swim and again baited up and within a few minutes some huge chub were feeding. 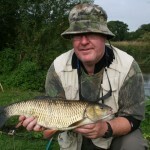 First cast and he within minutes he had his rod pulled off the rest and down the bank. He missed that fish. 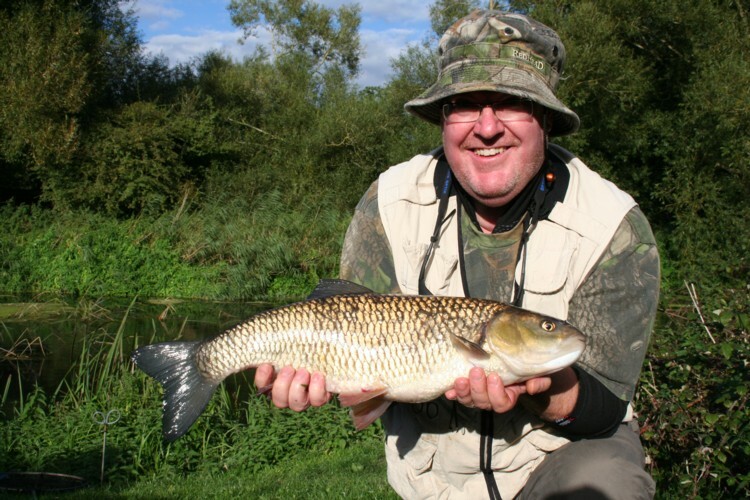 Not to worry he soon had two chub in quick succession. 6lbs and 6lbs 6oz. 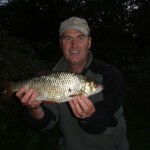 I fished for 45 minutes at dusk and caught a lovely 2lbs 2oz roach. So a red letter day for Steve. This entry was posted on Friday, September 17th, 2010 at 12:11 pm	and is filed under Uncategorized. You can follow any responses to this entry through the RSS 2.0 feed. Both comments and pings are currently closed.